Brad Custance operates the shop’s New CNC Smart ER Series II 3-axis machine with lathe attachment. 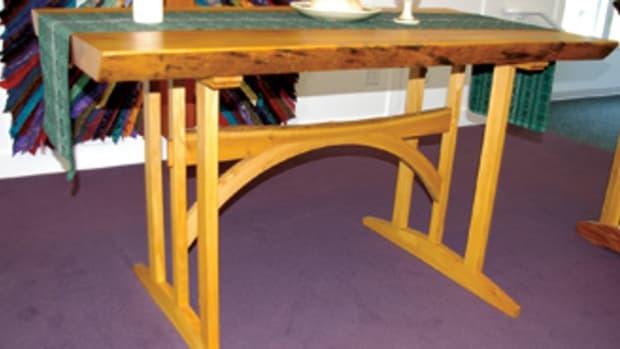 Steve Custance has a simple motto for his turnkey custom woodworking business: “If it can be drawn, we can make it.” That confidence emanates from his own proficiency in woodworking combined with his family’s extensive industry experience dating back to the early 1900s. 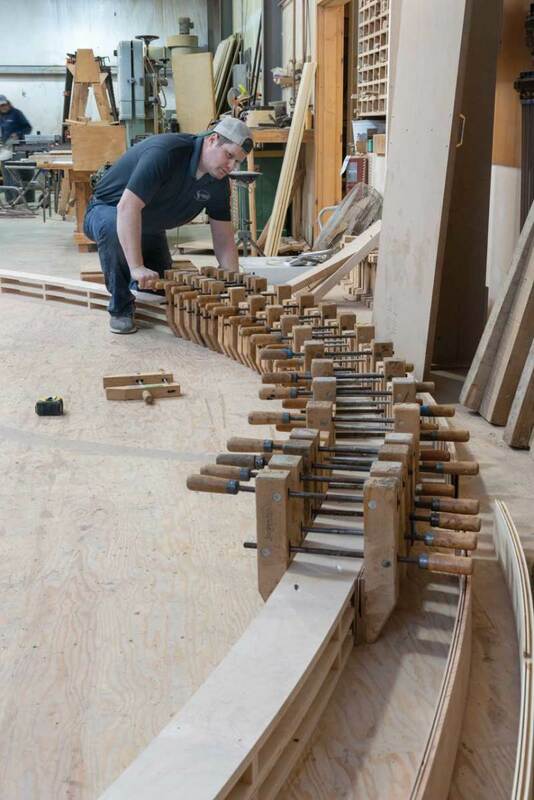 Custance Brothers Woodworking of Ashland, N.H., is in its third generation of family ownership. And its longevity is expected to live on, as Steve’s three adult sons – Brad, Matt and Dan – are part of the team of eight full-time workers. 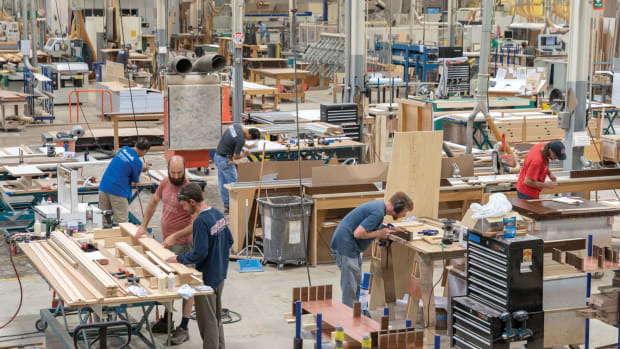 The shop is currently quite busy fulfilling design and fabrication orders for cabinetry, millwork, doors, staircases, turnings, additions and renovations. As he moves closer to retirement, Custance is stressing the importance of a flexible business philosophy to his sons. That’s what got him through the last recession. “We had to lay off a few workers and discount things a little, but we are still here. If you’re in place at the end of a down market, then you’re in good shape,” he says. 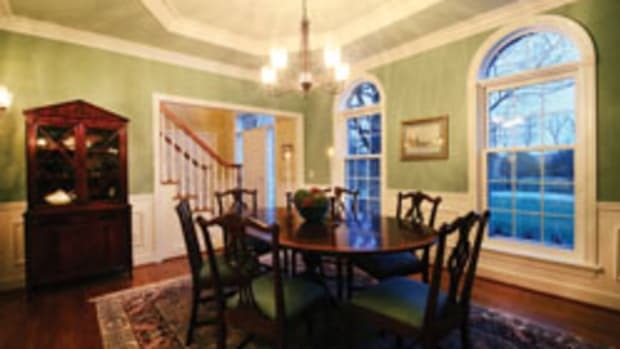 Custance Brothers Builders, as it was first called, was incorporated in 1911 in Lexington, Mass., as a general contracting firm by brothers Theodore and Howard Custance. 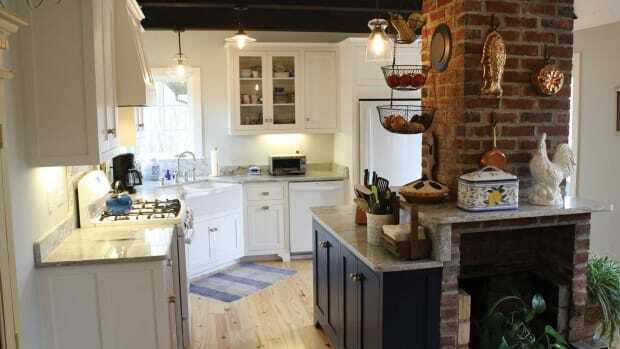 Both skilled builders from Nova Scotia, they thrived by providing locals with construction and millwork services. Today, many of their homes, commercial properties and community projects remain hallmarks of the area. Theodore’s son, Robert Custance, was the second owner. His son, Steve, joined full-time in 1986. “My dad got me started at a very young age. When I was five, he had me sort and learn all the nails in the nail shed. 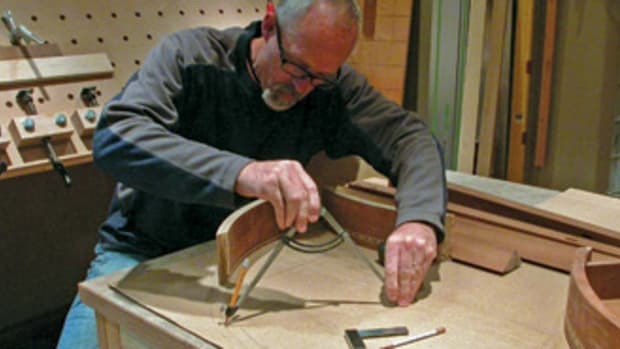 I kept learning from there and worked in the shop through high school doing lots of custom turning and woodworking projects,” says Steve, who took over after his father’s passing in 1987. Steve’s wife, Gail, helps with the books. His oldest son, Brad, joined up after high school. Matt and Dan went to college first. 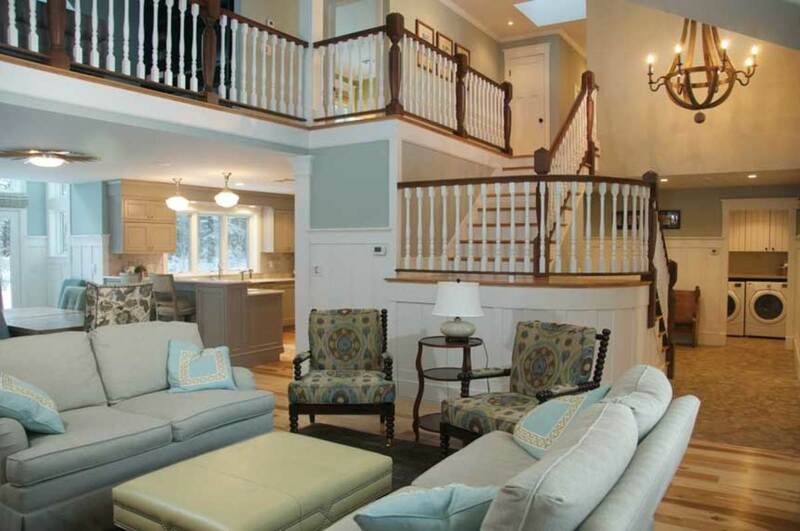 In 2000, Steve and Gail decided to move to Holderness, N.H., and basically began a new business. “At that point it was Brad and I and we were just going to do woodworking,” says Steve. 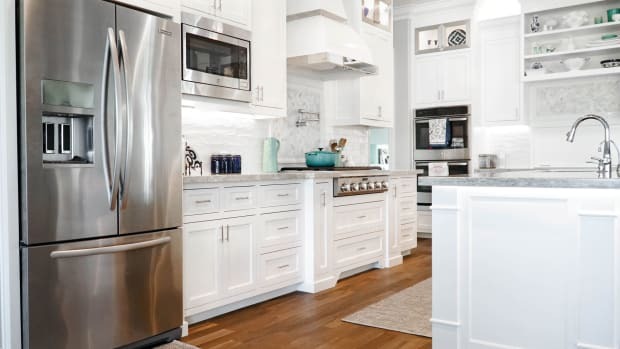 They started in a rented 2,000-sq.-ft. space, then built the current 13,000-sq.-ft. shop and showroom that opened in 2004. 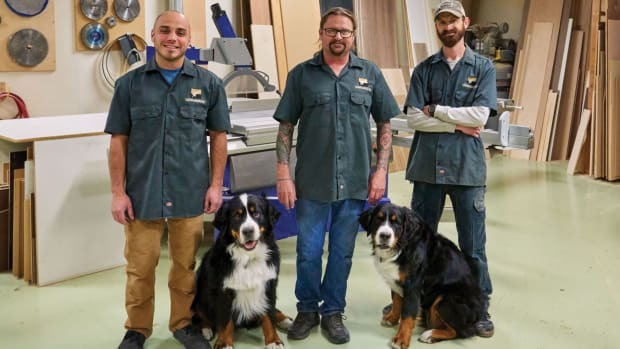 Anthony Hoerter , Christine Malm, Matt Custance and Rob Hansen get the job done at Custance Brothers Woodworking. The shop’s primary market is northern New England, stretching from Boston to the Canadian border. Most of its work in New Hampshire is in the Lakes Region and ski resort areas. A kitchen package from the shop’s extensive portfolio. Recent capital expenditures have focused on automated machinery, which Custance says benefits the shop’s present and future capabilities. 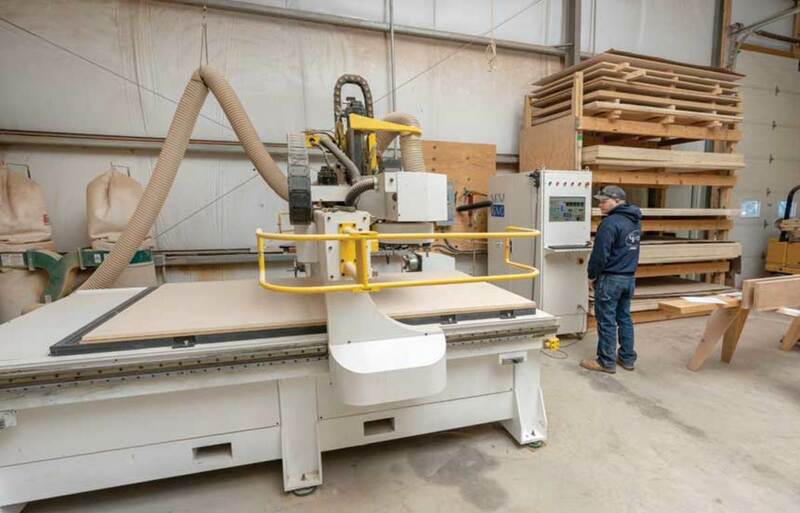 “Our shop is now somewhat automated in terms of fabricating cabinet parts. Everything is done on the computer. My role now is owner/bookkeeper and I do specialty programming for our CNC,” he says. 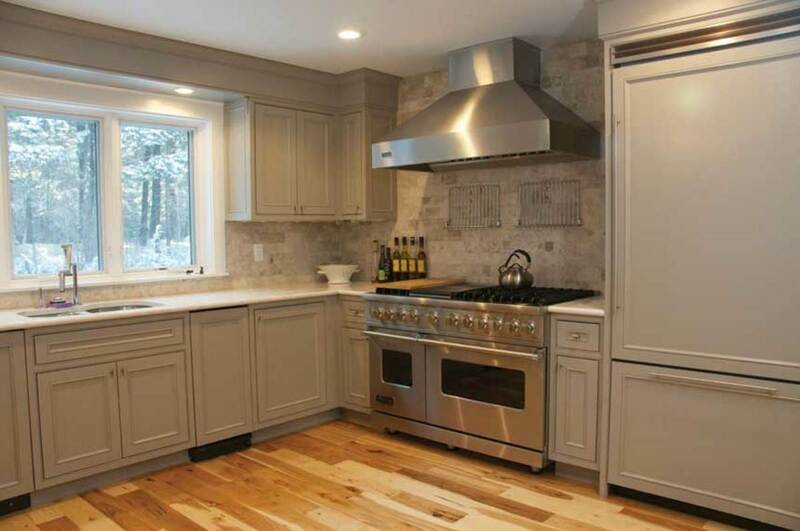 The shop has a stock line of cabinetry that caters to all budgets. 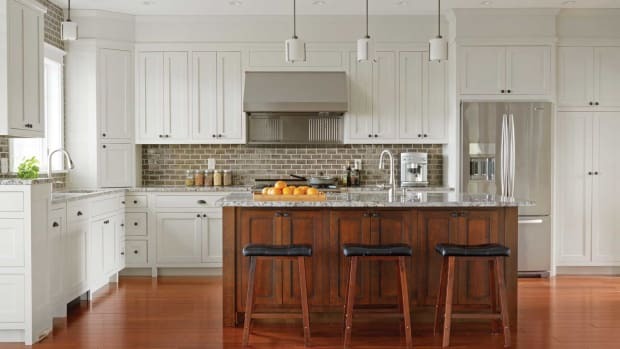 “We offer good, better, and best stock cabinetry options, and the CBW line is the best. It costs about 25 percent more than the factory direct products,” says Steve. Currently, Brad serves as shop foreman, Matt as general manager, and Dan manages onsite work. Millwork package from the shop’s extensive portfolio. “I’m working on setting myself up with an exit strategy to retire and then the three boys will take over within the next four years. I’ll probably still manage the books and do the CNC programming,” Steve says.